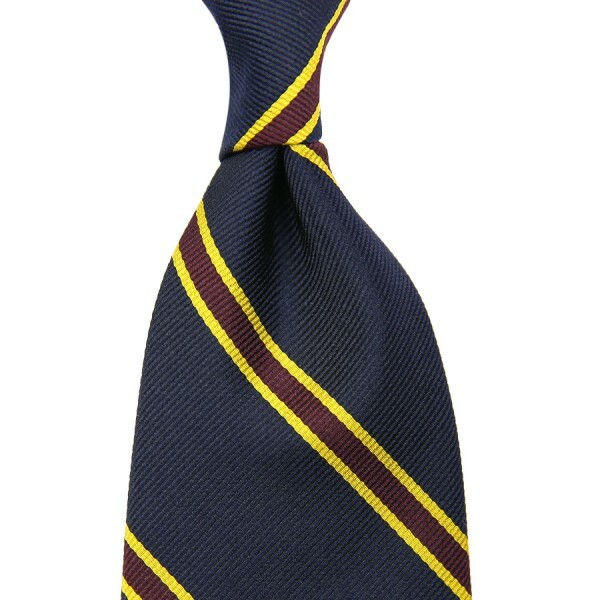 Product information "Repp Stripe Silk Tie - Navy / Burgundy - Handrolled"
A classic repp tie in navy, burgundy and gold. A real classic everyone should have; be it with a grey flannel or worsted suit, blue blazer or gun club jacket: this one always works. Especially nice with our navy boxcloth braces and cream pocket square. Related links to "Repp Stripe Silk Tie - Navy / Burgundy - Handrolled"